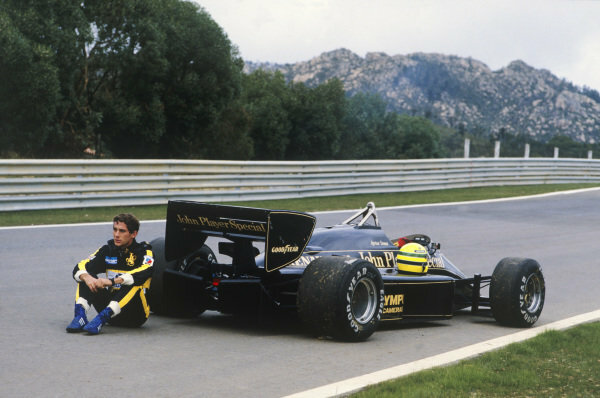 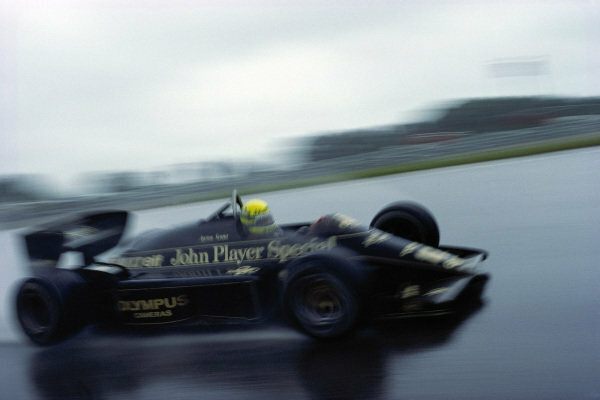 Ayrton Senna, Lotus 97T Renault. 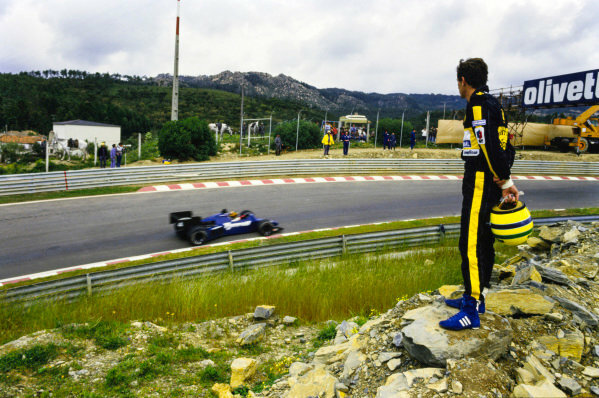 Ayrton Senna watches Philippe Streiff, Tyrrell 015 Renault from the side on the track during practice. 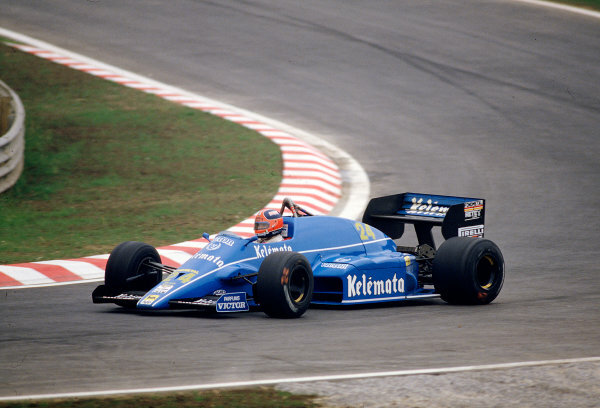 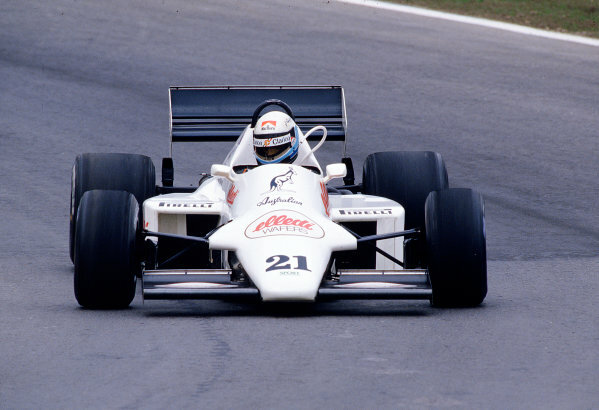 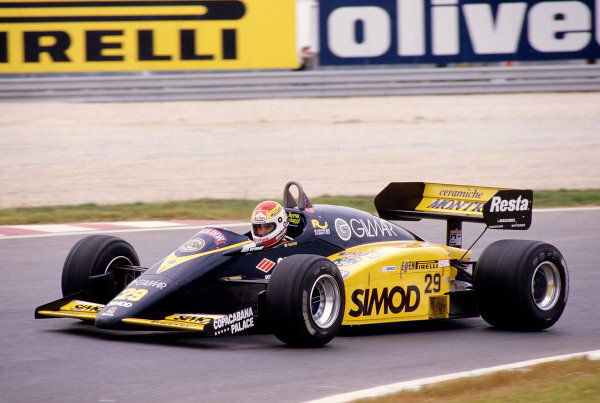 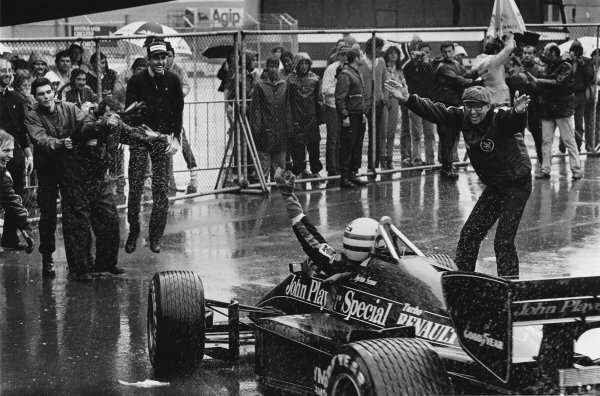 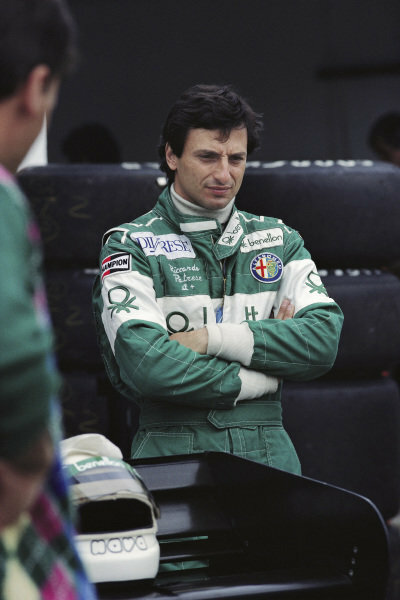 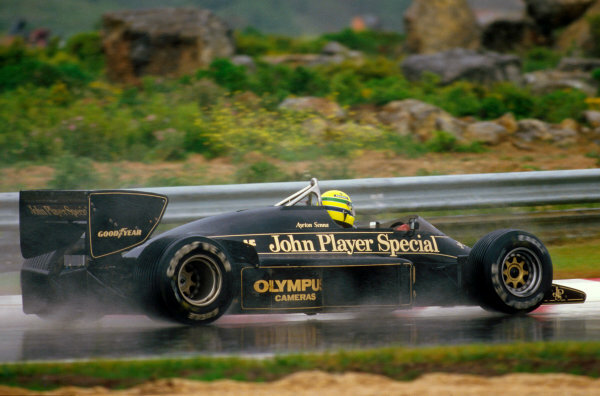 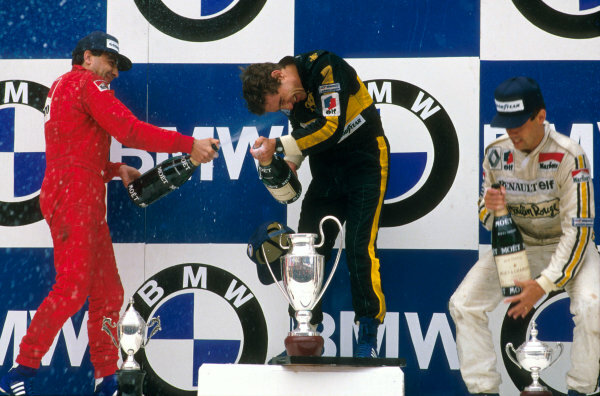 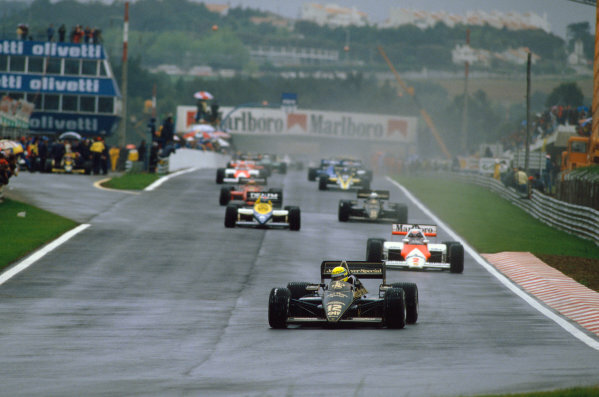 1985 Portuguese Grand Prix.<br /> Estoril, Portugal. 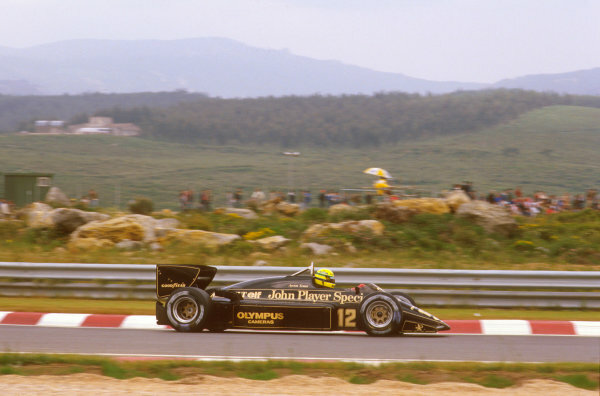 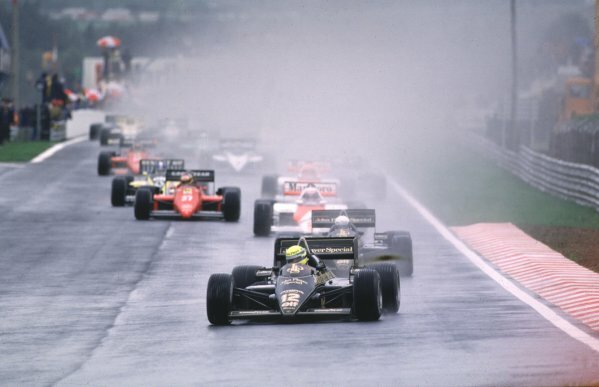 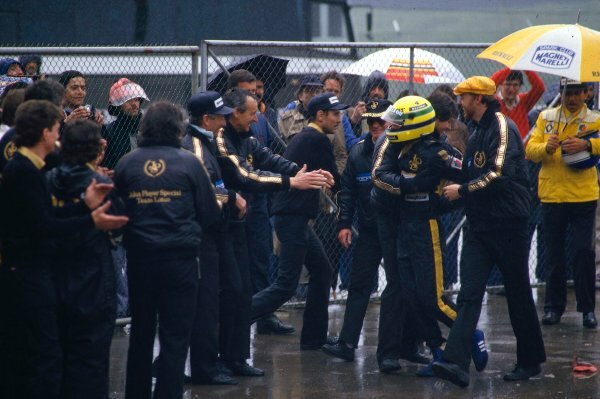 19th - 21st April 1985.<br /> Ayrton Senna (Lotus 97T-Renault), 1st position, leads the field on the formation lap before the start of the race, action.<br /> World Copyright: LAT Photographic.<br /> Ref: 85POR40. 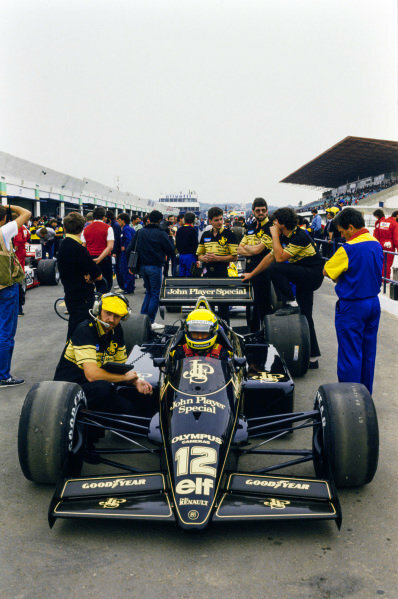 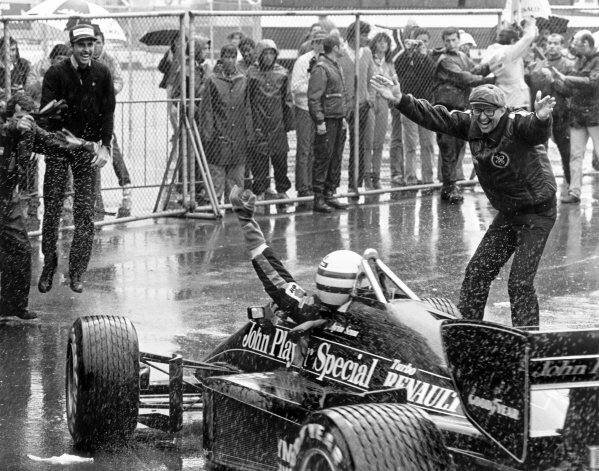 Ayrton Senna, Lotus 97T Renault, leads from teammate Elio de Angelis at the start. 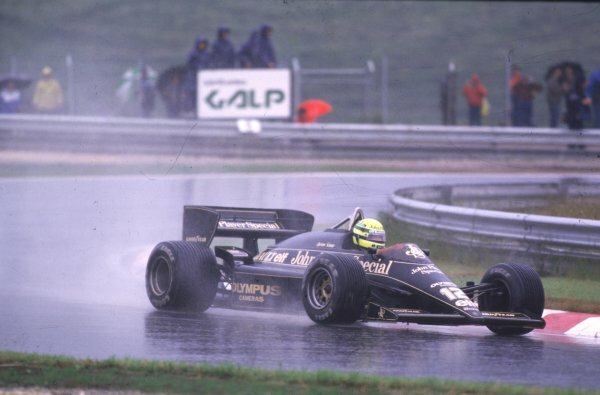 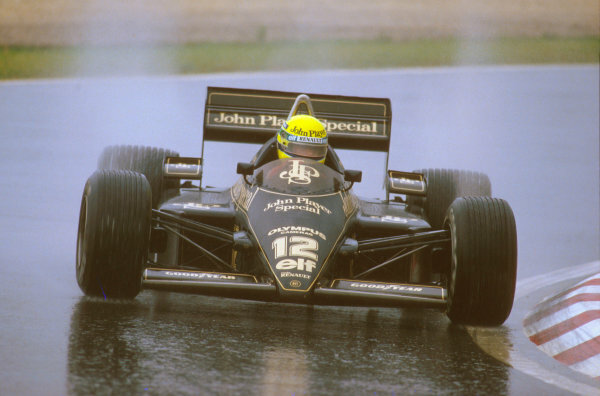 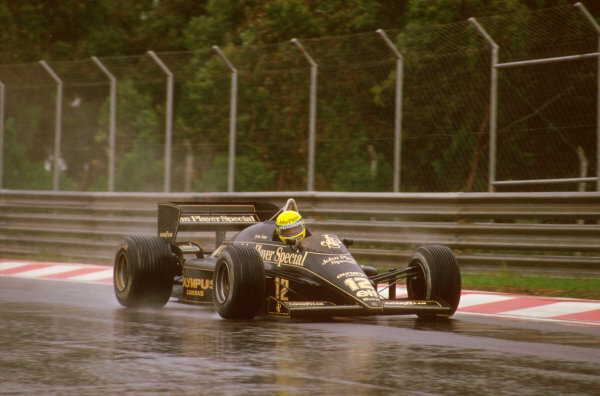 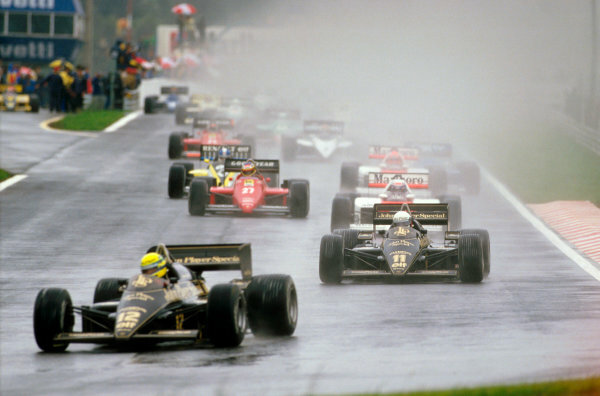 Ayrton Senna, Lotus 97T Renault, leads Manfred Winkelhock, RAM 03 Hart.